The historical Dali Kingdom (937 – 1254 AD) which lasted 316 years was located in the peripheral area of what is now known as Yunnan Province of China. 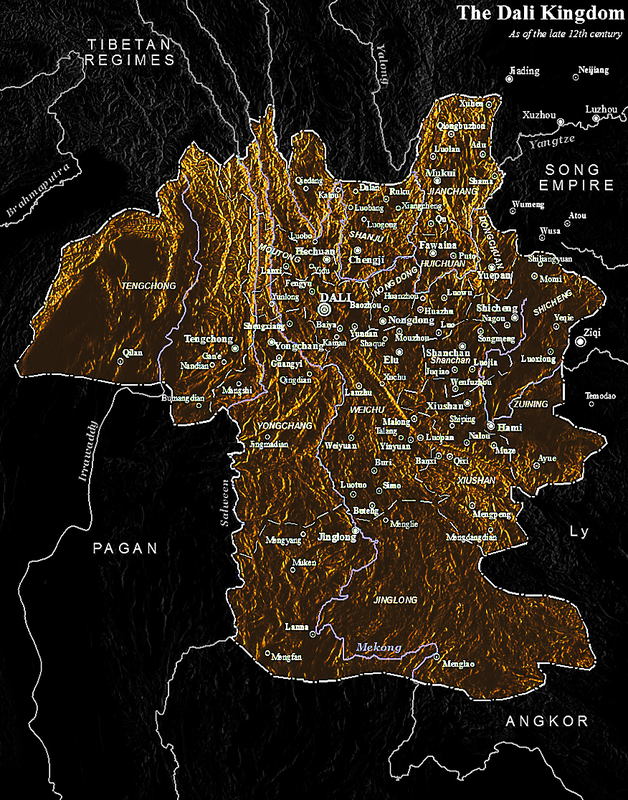 Its territory spanned outwards from Erhai Lake, roughly covering the current province of Yunnan, southwestern Sichuan and northern Myanmar. 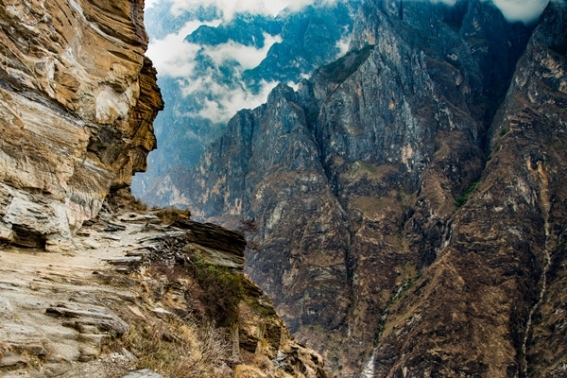 It was a kingdom of impregnable mountain passes and many plunging waterfalls, Dali laid at a crucial junction between many kingdoms in the region. To properly understand the Kingdom of Dali and most of all, the people who populated it, it would be imperative to understand the geography of the region which served to produce such men. 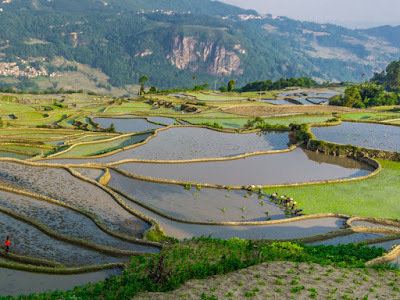 Dali is located in the mountainous area of what is known as Yunnan Province of south western China, the south western portion of the modern Sichuan province and northern Myanmar. It was a region dotted with impregnable mountain passes and many plunging waterfalls. All of these extremely difficult barriers- the rough shells of the kingdom protected the small fertile valley near Erhai Lake which served as the bread basket of the kingdom, its sanctuary, and the epicenter of political power. This precarious geography makes for an ideal terrain for any defenders. Because of the scarcity of good roads in the region, any and all invaders must come through a predictable series of narrow mountain passes if they wished to take the vital agricultural farmlands that laid deep within the region. It was something the locals were keenly aware of. Over the centuries many defenses were erected along these strategic mountain passes so that only a few defenders could repel a vastly numerically superior army with ease. Perennially, the odds were always lopsidedly stacked in favor for the defenders and heavily skewed against the invaders. And although this served the natives of these lands well against any ambitious foreign invaders, conversely this extremely defensive terrain also prevented the locals who lived in each of these valleys from forming a unified culture. In the same sense that the mountains kept the foreign invaders out, they also barred the locals from each other. Unlike other mountainous regions of the world largely dominated by one ethnic and cultural group, such as Georgia, where a largely homogeneous culture ruled. This region was more akin to Afghanistan. 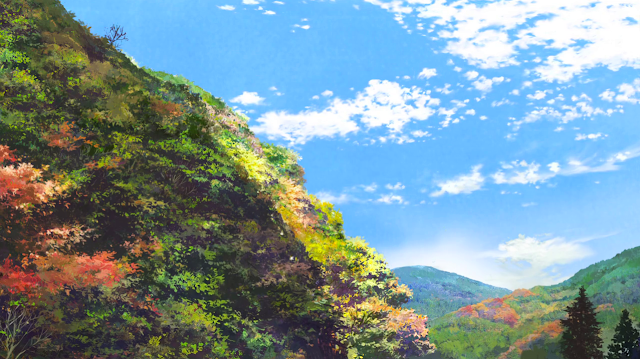 Thus many tribes, of many disparate customs and languages warred with each other in these green stubborn mountains for countless unrecorded ages. 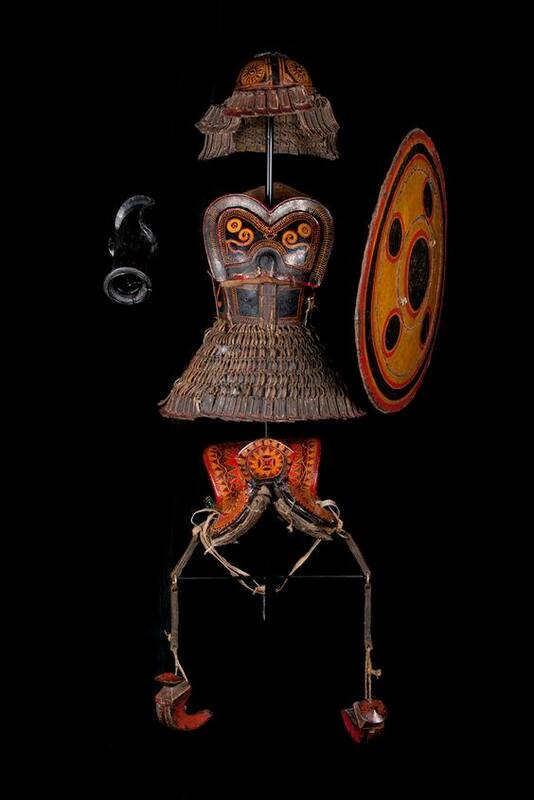 A rare lacquered leather armor of a Yi horseman from Yunnan. The fauld skirt, helmet brim, and neck guard are all made of multiple overlapping lacquered leather pieces. These flexible and weather resistant pieces of painted leather lamellar are commonly worn by the warriors of Yunnan. Some of the local tribes would have worn them well into the early 20th century. On top of their helmets they would often wear headbands of tiger fur, and on their bodies cloaks and sashes of such furs. Since time immemorial many tribes competed with each other for the sparse farmlands and buffalo raising pastures in the region. Of the hundreds of different ethnic groups that had inhabited the region, a selection of tribes would play an important role in local affairs, noticeably the Bai, the Yi, the Miao (also known as the Hmong), and the Han Chinese and Tibetan migrants. Excavations of the prehistoric art from parts of Yunnan have even revealed hunting scenes of Mongoloid horsemen in Central Asian clothing. 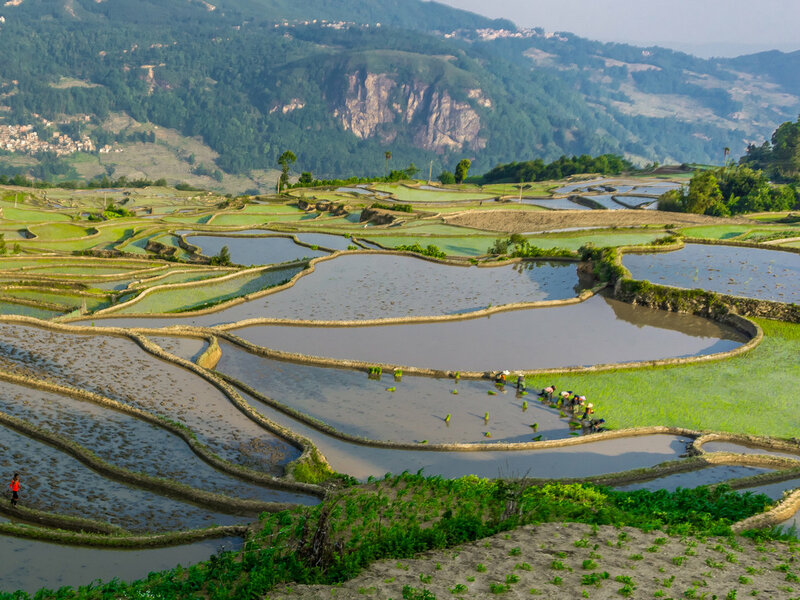 Newcomers would always arrive, and for those who could actually hold their ground against the native attempts to displace them, they too would deserve to stay and in time become one of the many fixtures within Yunnan. 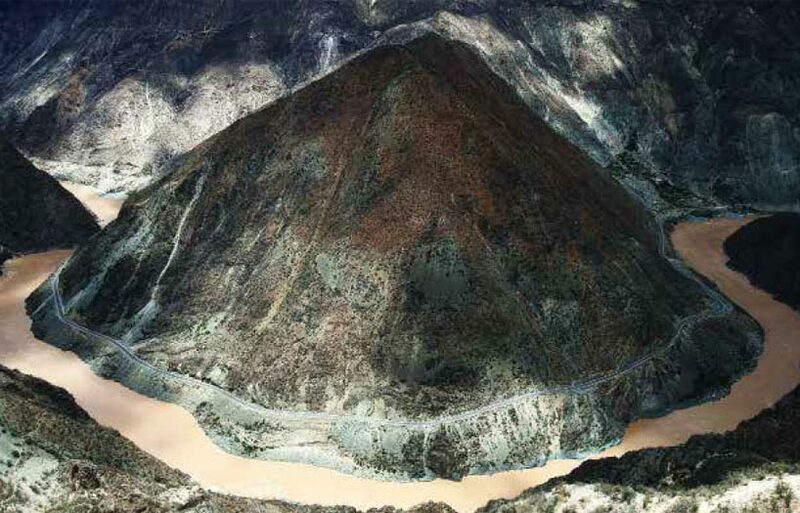 The first recorded Nanman kingdom of Yunnan was called Dian "滇," according to Sima Qian's Records of the Grand Historian; the kingdom was founded by General Zhuang Qiao of the Kingdom Chu. 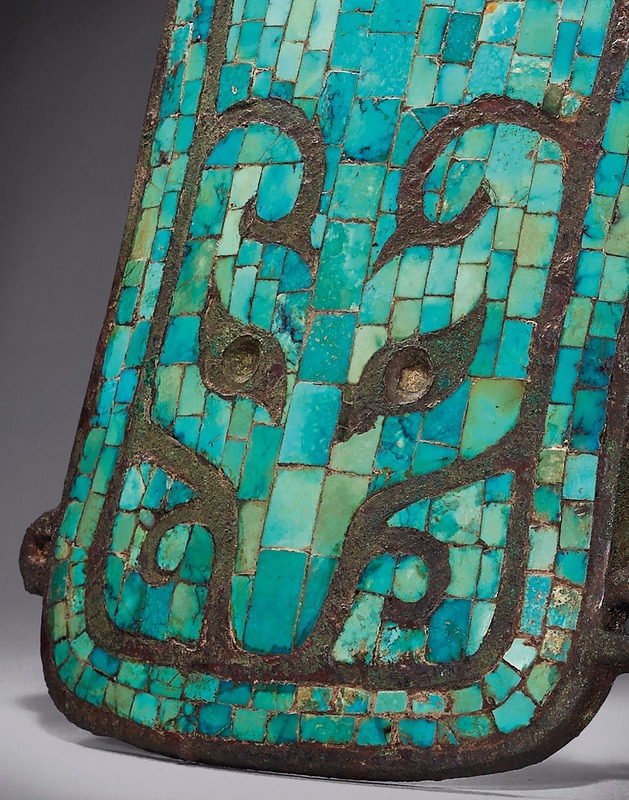 Recent archaeology, however deputes this claim, as there seemed to be no Chu artifacts reflecting its customs unearthed from the region at this time. If anything the culture of the region exhibited much of the traits of the indigenous people with evidence of exchange with proto- Burmese- and Tibetan people. 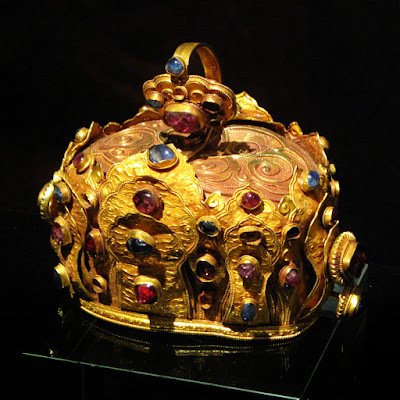 Their Kings however did sought after prized treasures from China. The inscription on the Dian King's tombs bore seal script on a gold imperial seal of investiture given by the Han Emperor. As the Dian did not have their own writing and thus kept their own records, there's very little we know of the ancient kingdom. The first state of the region that was fully documented would come after when the Dian was be annexed by the Han dynasty, which established several commanderies in the region. Emperor Wu of Han (or Emperor Wudi) was an aggressive military man, and was not only known to have completely destroyed the Xiongnu (Hunnic) threat in the empire's northern back but also sent out multiple expeditions to subdue the kingdoms to his south, they would expand as far as modern Vietnman in the east and in the west- taking the Nanman kingdom of Dian. In 109 AD, the Han court sent General Guo Chang (郭昌) south and established Yunnan county, a part of Yizhou (益州) commandery and 24 subordinate counties. 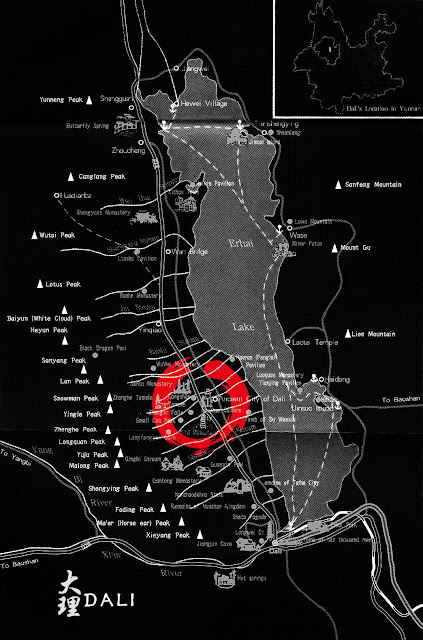 Because the county seat was south of Mount Yun (云山) lit. 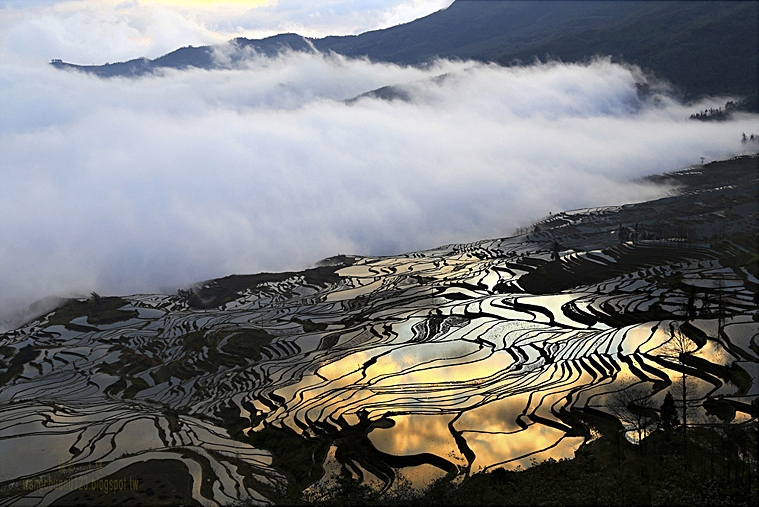 "Cloud Mountain", the county was named "Yunnan" – literally county of "Southern Clouds." A good sign of the general ethnic confusion in the region is that from Chinese sources about a battle with the local peoples, kept referring to them as Bai-Yi, the Bai and Yi being two major non-Tai ethnicities in the Yunnan region, and the ones most associated with the later Dali and Nanzhao kingdoms. 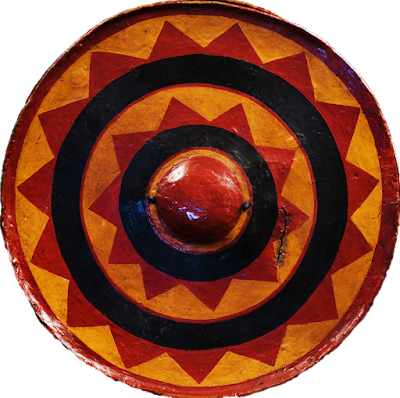 Thus it's evident that even in ancient times there were many tribal groups working with each other and working under one polity. 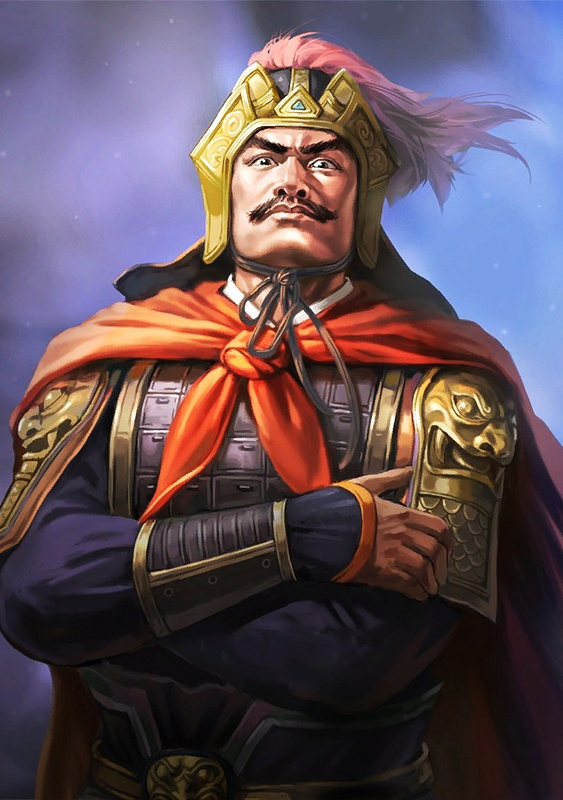 Zhuge Liang: the brilliant chancellor of the kingdom of Shu subdued a series of Nanman rebellions in the region and was one of the first to expand Han control into as far as northern Burma. During the Han many Han settlers began to migrate into Yunnan, but the dissolution of Chinese central authority at the tailend of the dynasty led to increased autonomy for Yunnan and more power for the local tribal structures. 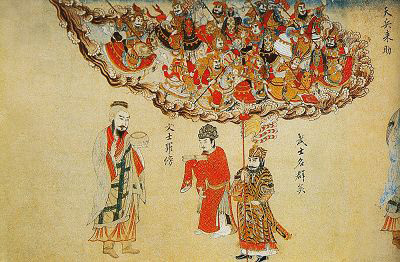 During the Three Kingdoms period, when the Han court collapsed and the realm was plunged into a massive civil war, the state of Shu Han lead by the warlord Liu Bei ruled over Southwest China.The Three Kingdoms period had been one of the bloodiest in Chinese history and after the death of Liu Bei, the Nanman tribesmen of the region rebelled against Shu Han's rule. 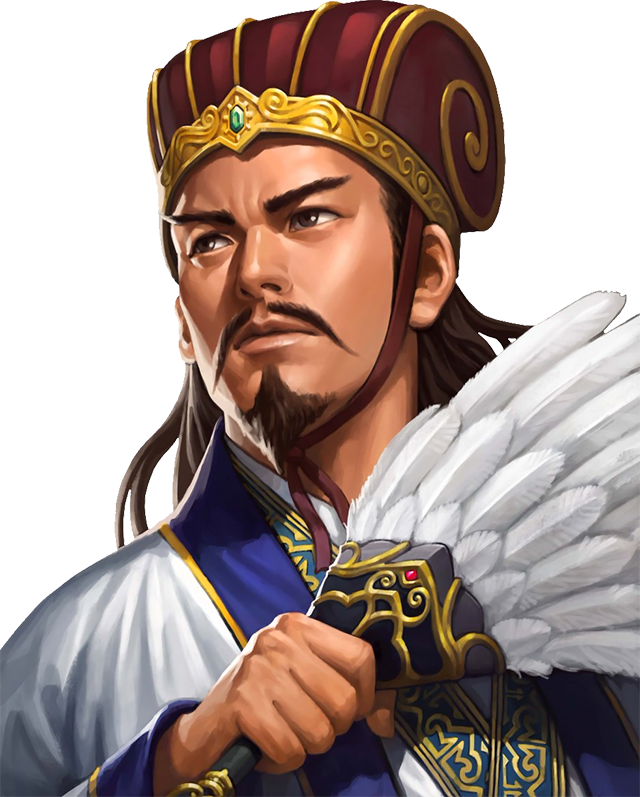 However, the chancellor of Shu, Zhuge Liang, led a successful deep expedition into Yunnan to quell the rebellion and restore the Shu rule over the region. After pacifying the four commanderies of Yizhou (益州; a.k.a. Jianning 建宁), Yongchang (永昌), Zangke (牂柯) and Yuexi/Yuesui (越巂), Zhuge Liang reformed the administrative divisions to create another two commanderies, Yunnan (云南) and Xinggu (兴古), to improve the quality of the local governments in the Nanzhong region. He recommended the people to self-govern instead of appointing non-locals as the governors. Though different Chinese dynasties would control of region, the extend of imperial control, and that of ethnic Han cultural influence in the region was thin at best. Despite the immigration of Han settlers, for centuries while China proper warred in chaos the edge of the empire diligently retained their ways. 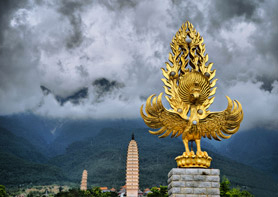 The kingdom of Nanzhao that rose during 8th century in Yunnan would not only be an unexpected military powerhouse but also become one of the most dominant powers in all of South East Asia. 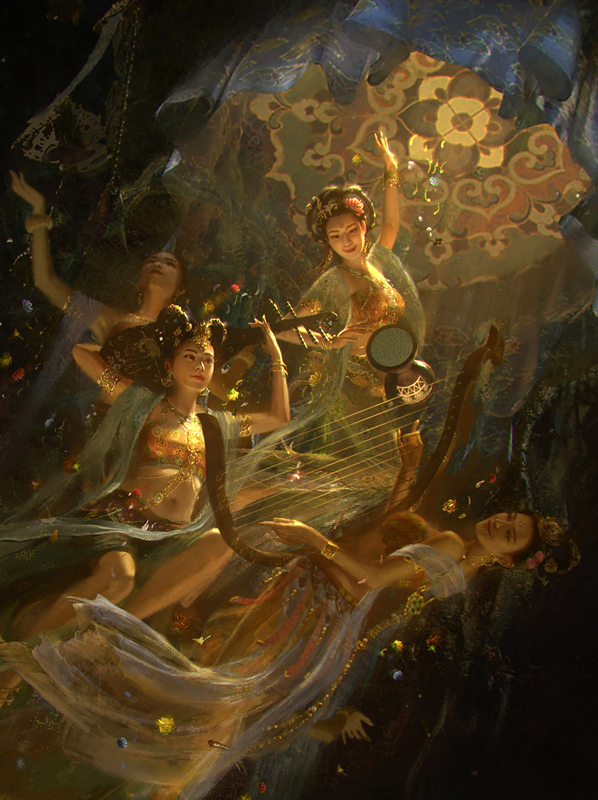 Nanzhao was made up of many ethnic and linguistic groups. 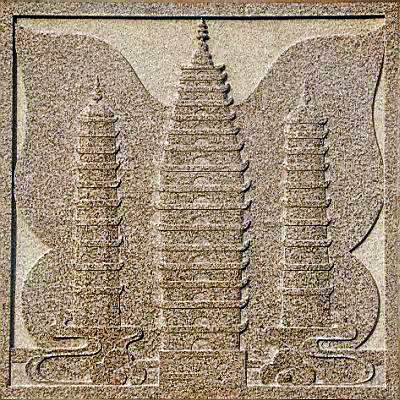 Some historians believe that the majority of the population were of the Bai people, but that the elite spoke a variant of Nuosu (also called Yi), a Tibeto-Burman language closely related to Burmese. 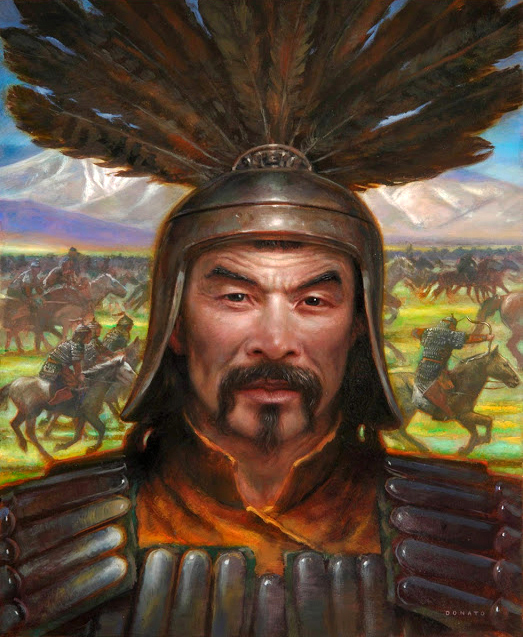 What was certain was that, prior to its official founding, each of the 6 dominant tribes of the region had its own chieftain- kings, known as a "Zhao." They would initially inhabit in the western portion of Yunnan, where local tribal authorities have the strongest hold, while northeastern Yunnan was ruled by Chinese prefects and under direct control of Chinese dynasties. At the end of the 6th century the largest tribes of the region around Lake Erhai in northern Yunnan were six tribes whose chieftains were called the six Zhaos, or "six kings" ("Zhao"- in Chinese means "edict" or "degree", denotes a non-Han ruler conferred to rule by the imperial regime.) The chieftains came under Tibetan occupation from 680 AD, and after they were driven out recognized the local chieftains' powers in 703. During the 8th century, Tang China and the Tibetan Empire were two rival superpowers in the political landscape of East Asia. In time, the local chieftans sought Chinese support as a patron to unite the six tribes under one banner. 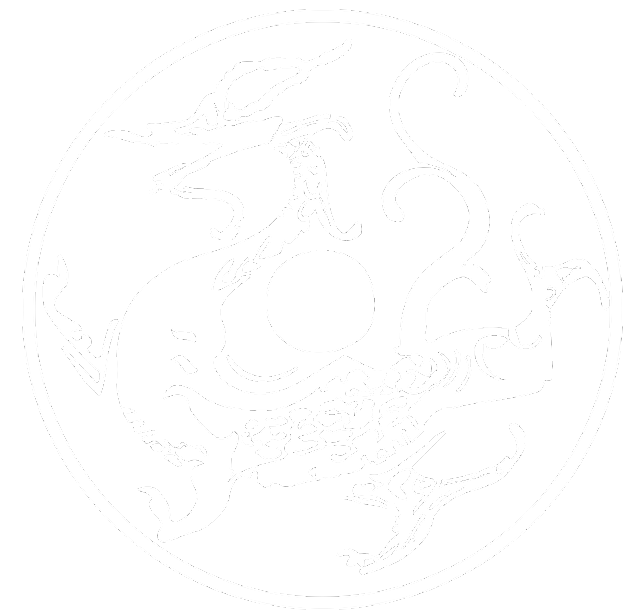 Zhao "詔" ~ meaning "decree" or "imperial proclaimation" could be roughly translated as non-Chinese chieftans or Kings who served as Chinese vassals while they simultaneously ruled as kings in their local domains. Above: Crown of a native Yunnan chieftain dating from the Ming dynasty. 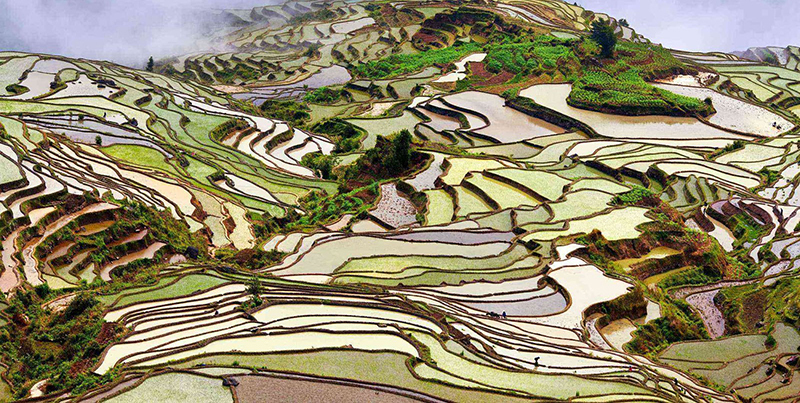 Even when the region was ruled by Chinese regimes, historically Yunnan had always preserved its distinctive culture. Because of their services to the imperial court, many of the local chieftains and priestly class was able to preserve their culture. 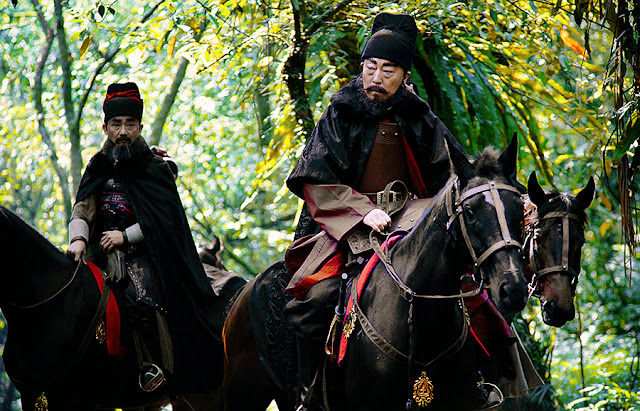 During the Yuan, Ming, and Qing dynasties, the Tusi 土司; often translated "headmen" or "chieftains", served the imperial dynasties as vassals while they simultaneously ruled as kings in their local domains. In the year 737 AD, with the support of the Tang, a chieftain of the southern tribe called Piluoge (皮罗阁) united the six zhaos in succession, establishing a new kingdom called Nanzhao (Mandarin, "Southern Zhao"). 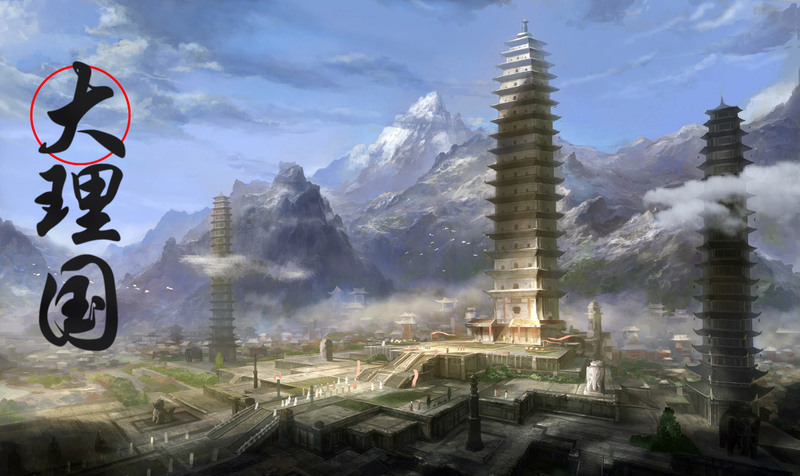 The kingdom's capital was established in 738 a few miles south of Dali. Located in the heart of the Erhai valley, the site was ideal: it could be easily defended against attack, and it was in the midst of rich farmland. All the paths that converged towards it were easily defensible, and a few defenders could easily hold off much larger enemies. With this strategic citing, the kingdom became nearly impervious to foreign invasions. What Nanzhao did in the next century would astound the world, and proved that the small state would not only punch way above its size but also fight both Tang China and the Tibetan Empire- two of East Asia's great powers of the 8th centuries at their absolute heights. In 750, Nanzhao fought against the Tang Dynasty- according to their accounts the Tang prefect of Yunnan attempted to rob Nanzhao envoys. Geluofeng, the successor of Piluoge promptly invaded Tang Yunnan, killing the prefect and seized nearby Tang territory. In retaliation, the Tang governor of Jiannan (modern Sichuan), Xianyu Zhongtong, marched against Nanzhao with an army of 80,000 soldiers in 751, but this army was soundly defeated at Xiaguan- the Xia mountain pass. (It was in the same year that the Tang suffered another serious defeat at the hands of the Abbasid Arabs at the Battle of Talas in Central Asia; which weakened the dynasty.) 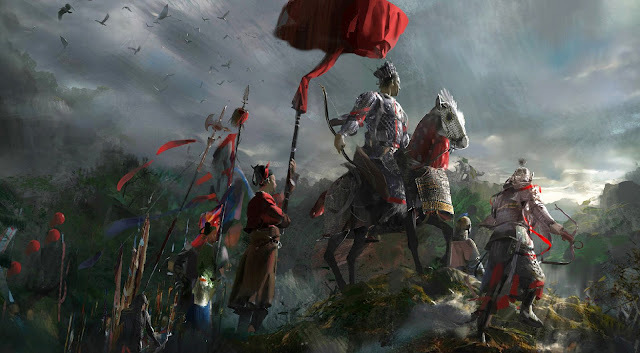 But the Tang did not let up, at the height of Xuanzong of Tang's rule the Tang realm boasted an army of two million, thus even after the defeats another invasion was launched in 754, this time from the north, which numbered over 100,000 soldiers. 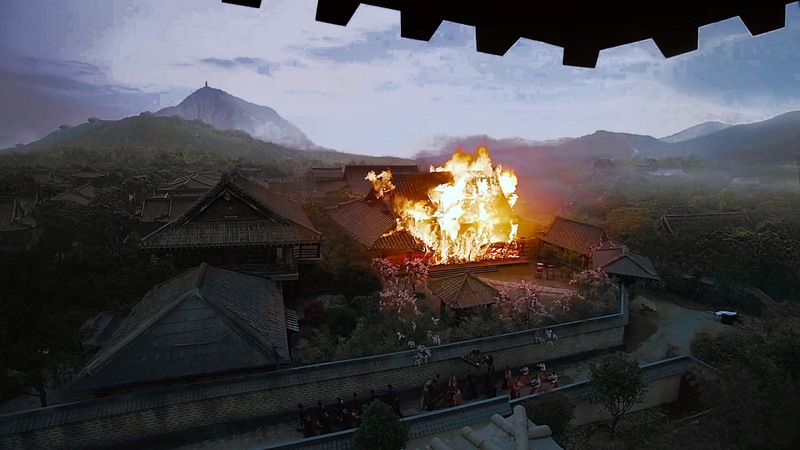 But again, geographic factors rendered the Nanzhao capital impregnable, and the Tang invasion was again destroyed in 754. After this, the Tang was unable to send another expedition due to the outbreak of Anshi Rebellion in the following year. Bolstered by these successes, Nanzhao entered into an alliance with the rival of the Tang, the Tibetan Empire. 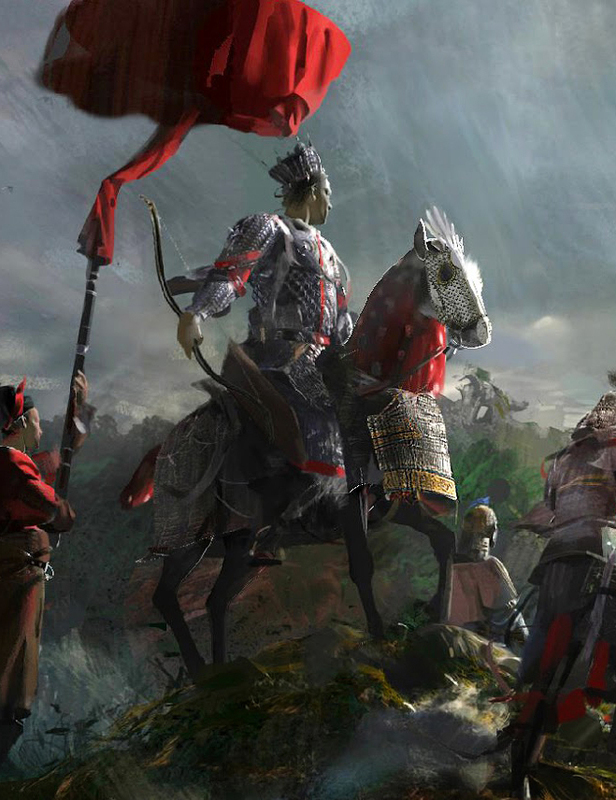 With both fronts secured, Nanzhao expanded rapidly, the next century of the kingdom would be marked by a series of extremely aggressive invasions and deep raids into the nearby kingdoms. 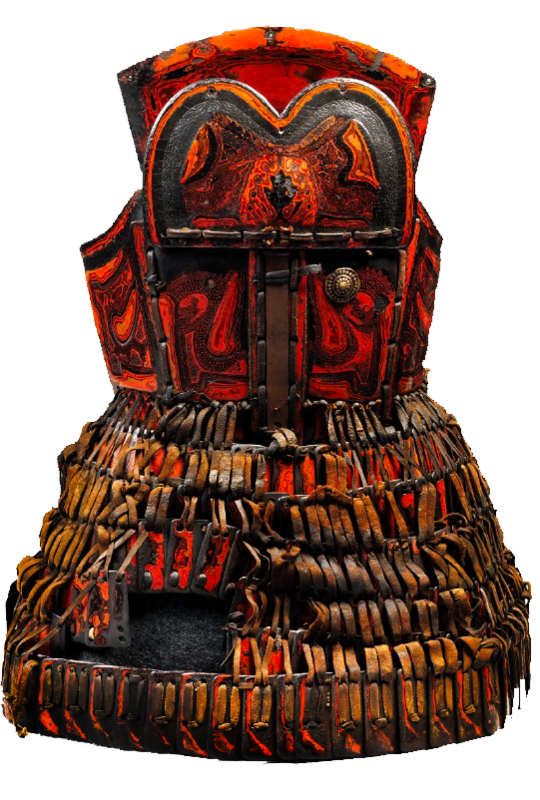 Red lacquered leather lamlellar armor of a Yunnan warrior. 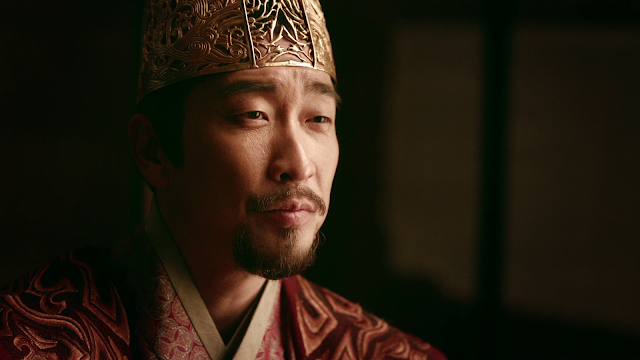 During the rest of the 8th century Nanzhao would become an persistent thorn at the Tang's side. Because of their impregnable heartland in the Yunnan mountains, ever perched to strike down toward all directions yet could easily slip back to safety if pursued, Nanzhao continued its aggressive wars. 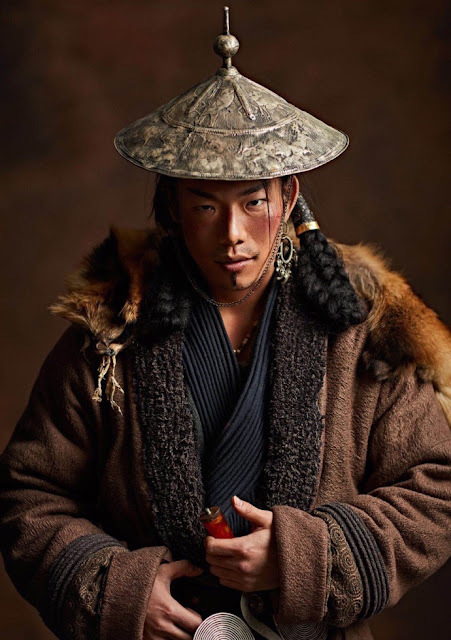 But with the Tang drastically weakened in the 8th century and thus no longer being a threat, Nanzhao then turned against the Tibetan Empire- itself being at the absolute height of its power. The Tibetan empire dealt a series of blows to the Tang as the empire weakened and rapidly became the greatest power of East Asia, at its height expanding from the Tarim Basin and Hexi Corridor in the northwest to Manipur and Burma in the east, its armies were vast, its authority supreme. And by 794 the alliance between Nanzhao and Tibetan Empire broke apart. Immediately, an alliance was concluded between Nanzhao and the Tang. 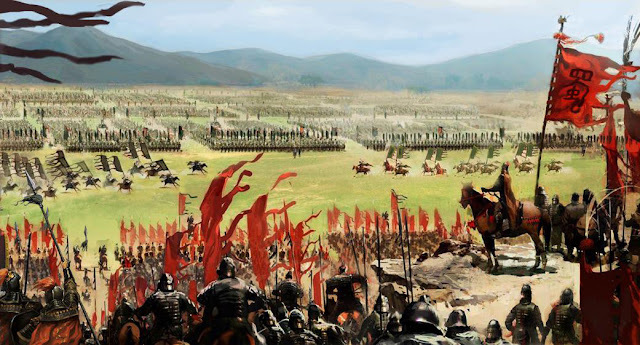 In 801 an alliance of Nanzhao and Tang forces defeated a massive contingent of Tibetan and Abbasid slave soldiers. Again, the small state had given a bloody nose to an empire much larger than it in nearly all metrics. With these bold victories, Nanzhao went on to become an imperialist power. 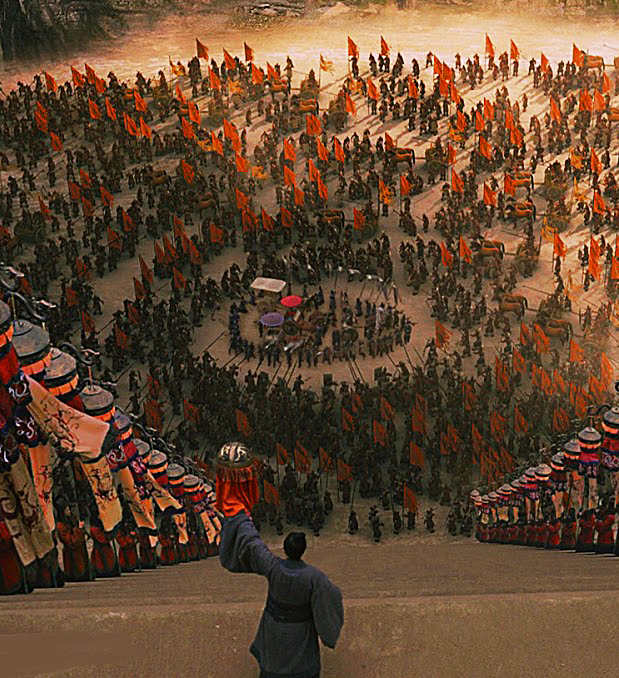 What followed Nanzhao's "proving" was a litany of extremely aggressive wars of expansion. By the 9th century Nanzhao had become an imperialistic state. Bolstered by their successes against the Tang and Tibet, Nanzhao expanded rapidly into Burma, conquering and massacring the Pyu city-states in the 820s, enslaving thousands of inhabitants and returning with vast loots. In 829, they attacked Chengdu, the seat of Tang power in the nearby Sichuan province, tens of thousands of artisans and scholars were enslaved and brought back to the Nanzhao capital of Dali. It was a great prize, as it potentially enabled Nanzhao to lay claim to the whole of Sichuan province, however they withdrew the following year. In the 830s, they conquered several neighboring kingdoms to the south inhabited by the Tai and Miao (Hmong) people, subjugating them. Have dong so, Nanzhao then waged war deep into Burma in 832, finally eradicating the Burmese Pyu city-states in 832. Aggressive expansions. 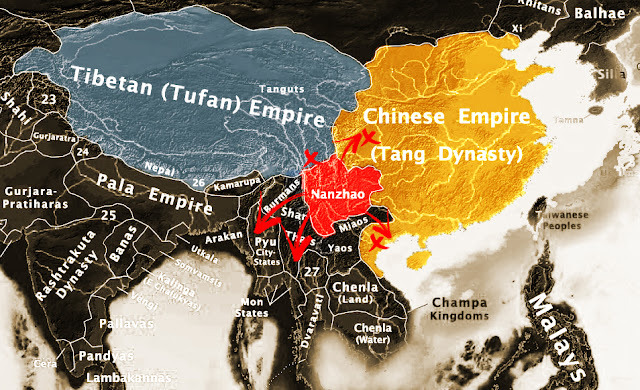 After having bested both the Tang dynasty and the Tibetan empire in the 8th century, by the 9th century the small kingdom of Nanzhao embarked on an extremely aggressive series of rapid expansions. For nearly 7 decades it laid waste and subjugated many nearby smaller states and repeatedly attacked the weak points of the Tang frontiers. After devastating Burma and made itself the undisputed power of the region, Nanzhao then turned fully against the Tang weak points in the east, most of these are thinly stretched and could be easily cut off if taken- especially in the south between the Chinese heartland and the Tang controlled- Vietnamese boarder. Slavery played an important role in the kingdom’s economy. Nanzhao society advocated for a standing army with a strict system of military law. By the end of the regime, the armed forces had as many as 100,000 experienced troops. Looting was often a reason for fighting neighboring tribes. Considerable numbers of enemy soldiers would be captured. In 846, Nanzhao raided the southern Tang circuit of Annam (northern Vietnam.) Nanzhao stirred up anti-Tang rebels the area and attacked Annam again in 862 and 863, occupying it for three years. In 869, Nanzhao laid siege to Chengdu again but failed to capture it. By 873, Nanzhao had been expelled from Sichuan, and retreated back to Yunnan. 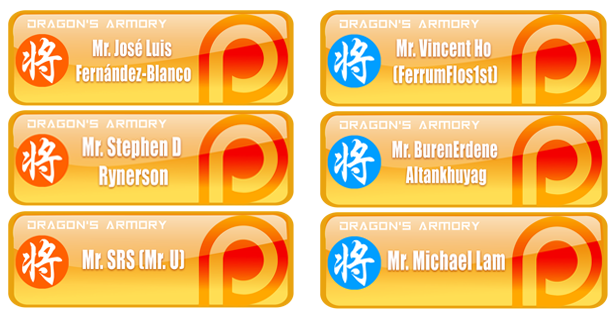 From this point on, the Nanzhao Kingdom slowly declined. The end of the kingdom would came suddenly. In 902, Zheng Maisi, the qingpingguan (清平官, essentially the"Primier Minister") of Nanzhao, murdered the infant king of Nanzhao, and usurped the throne. This sudden betrayal abruptly ended the kingdom and plunged the realm into anarchy. The rest of the royal clan was massacred. In the next 35 years, three dynasties rose and fell in quick succession. Da Changhe (902–928), Da Tianxing (928–929) and Da Yining (929–937). 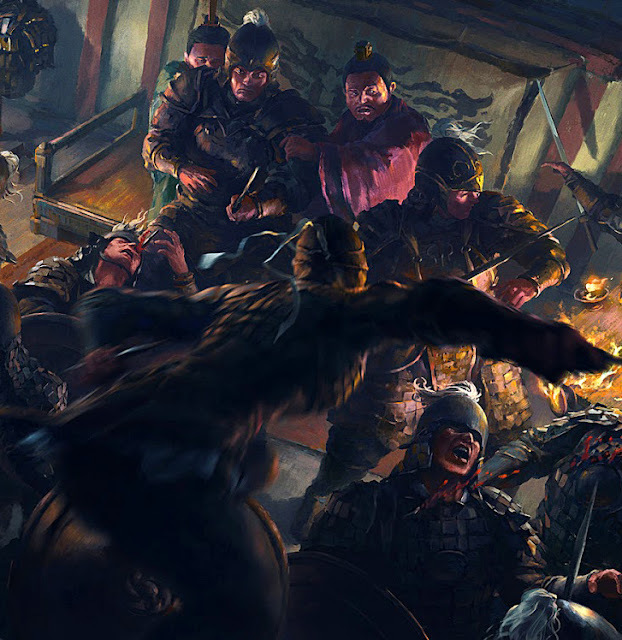 The realm wide anarchy was ended only when Duan Siping, one of the Jeidushi 节度使- or military governors led a coalition of some 37 tribes and restored order to the region. He was enthroned in 937 and founded the new Kingdom of Dali. The name of Dali meant "The Great Truth" or "The Great Administration." 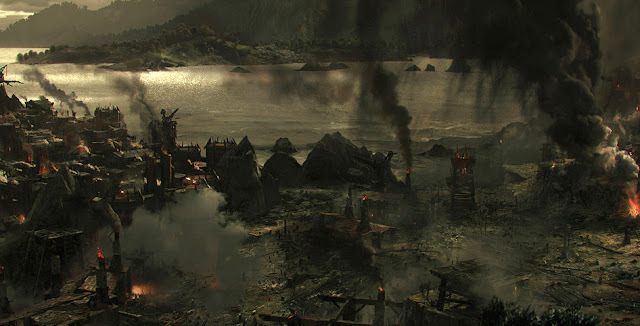 It would rapidly take over nearly all of the lands that formerly encompassed by Nanzhao. 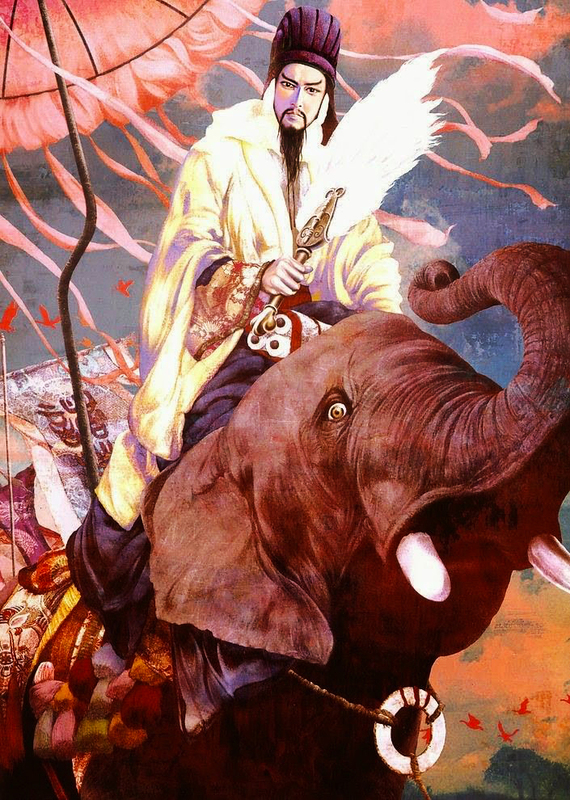 For the most part, the ethnic and cultural elements of Nanzhao was continued by Dali, the court was still modeled upon a Chinese royal bureaucracy and many disparate people swore loyalty to a great king. The king was called piaoxin 骠信, and he was assisted by four ministers (qingpingguan 清平官) whose offices were called tanchuo 坦绰, buxie 布燮, jiuzan 久赞, and yanzan 彦赞. The Bai ethnic group was dominant during this period and held great sway: “Bai” means white, a color which the Bai associate with dignity and high social status and one which describes the sheepskin clothing they wore centuries ago. 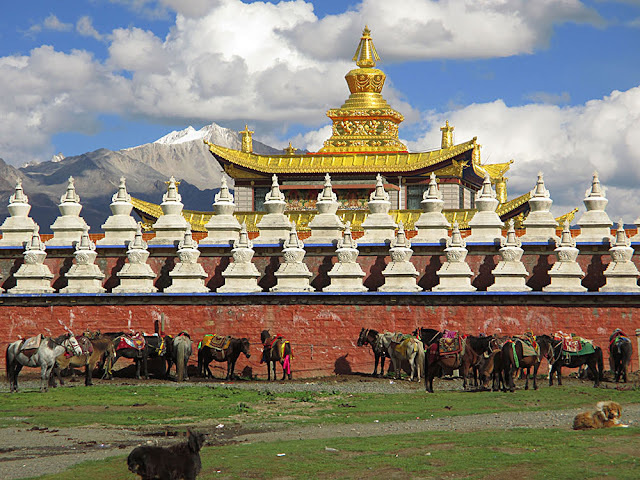 Other important groups in the kingdom included the Yi, Miao, and by now native Chinese and Tibetan subgroups who had settled here for centuries. Like Nanzhao, Dali's power was also consolidated around the heartland of Lake Erhai, like Nanzhao as well it possessed a respectable military. Restorer: the general Duan Siping emerged as the victor in Yunnan after 35 years of anarchy and war had wracked the Nanzhao kingdom. Although ethnically he was probably a Bai, he claimed Han Chinese descent. He and his successors would cultivate friendly relationships with both Song China and the various Tibetan warlords- uniting all three people for centuries through trade and mutual reliance. 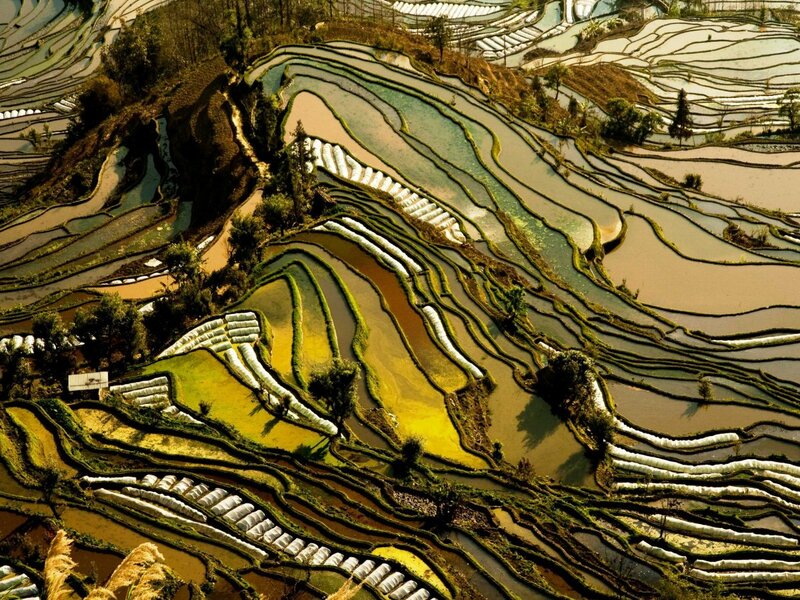 Where as Nanzhao warred and destroyed, Dali facilitated trade and looked inward. The most striking difference between Nanzhao and Dali was in Dali's behavior. Where as Nanzhao had devoted nearly its entire existence in war and raids, the Dali Kingdom was much more inward looking and preferred peaceful trading and religious contemplation rather than endless wars. 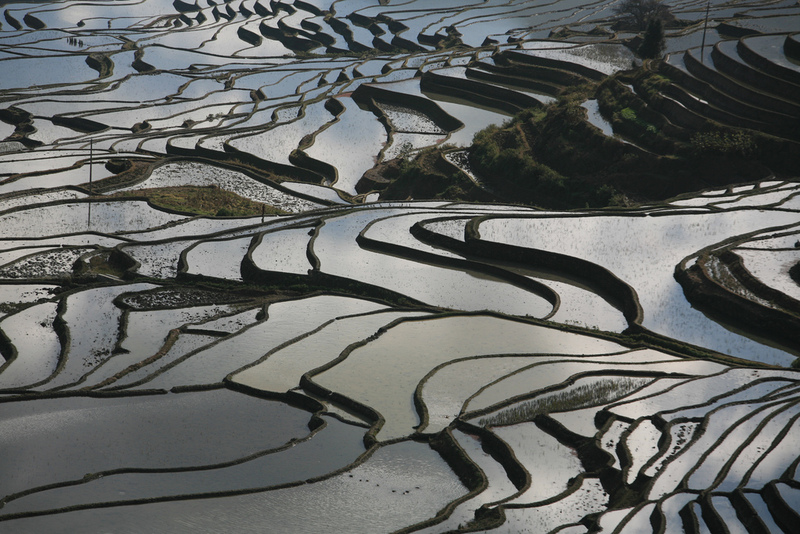 For by the dawning of the 11th century, many changes had occured both inside and outside of Yunnan. What's most surprising- was perhaps how it would also became one of the key friends of both the Chinese as well as the Tibetans, and in its entire existence cultivate a strong mutual friendship between all three powers in the region through vital trade and support. Statue of Ganruda Inlaid with Crystal Beads, found at the Qianxun Pagoda of Chonegsheng Temple- (the temple of 3 white pagodas.) 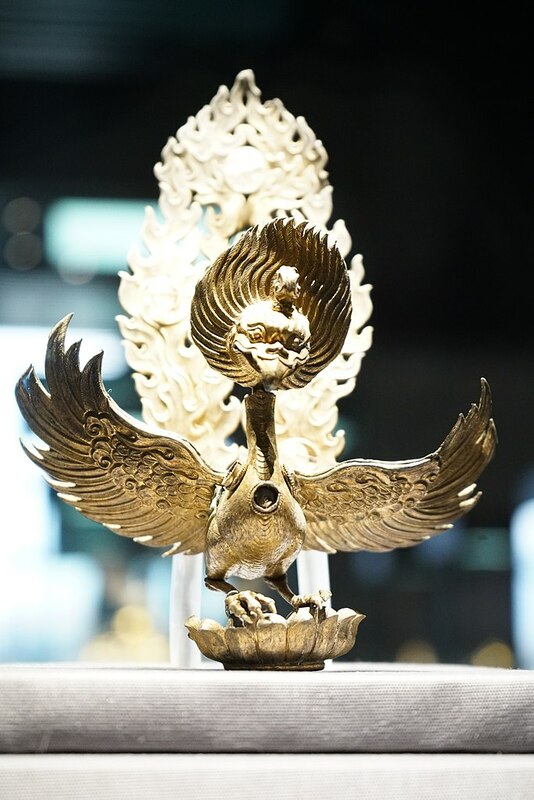 exhibited at Yunnan Provincial Museum. It seems Buddhism was a major influence in Dali ... and you mention Han Chinese influence, but how much influence did Confucianism, Taoism, Legalism, etc, play in Dali? Or was Dali more like modern Burma, Thailand, where there wasn't much Confucianism, Taoism, etc ... ?? Buddhism was supreme, but there are tenets from Confucianism that was respected, especially in terms of governance. I would say that after the fall of the Dali Kingdom in the Yuan, Ming, and Qing period Islam became probably one of the biggest religion in the region, probably right behind native religions. The Hui were one of the most influential group of Muslims in the region and they even tried to create a Hui- Han rebel kingdom centered at Dali to expel the Manchus. But they were destroyed by the Qing loyalist Huis and slaughtered. Still, Hui Muslims are quite commonly seen in the region today.